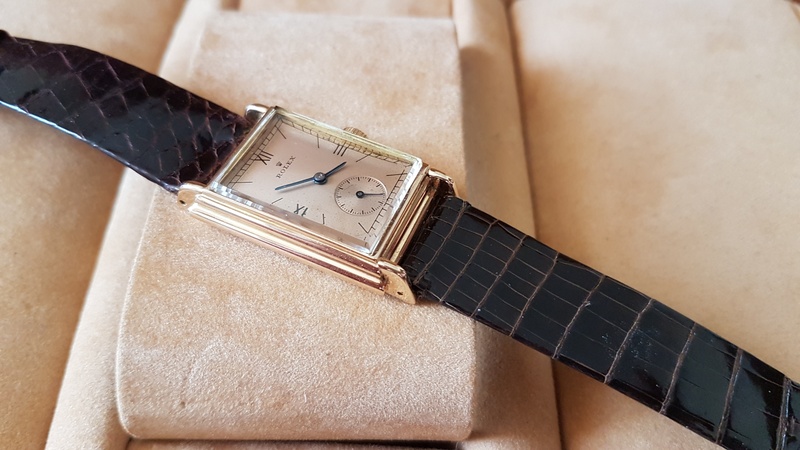 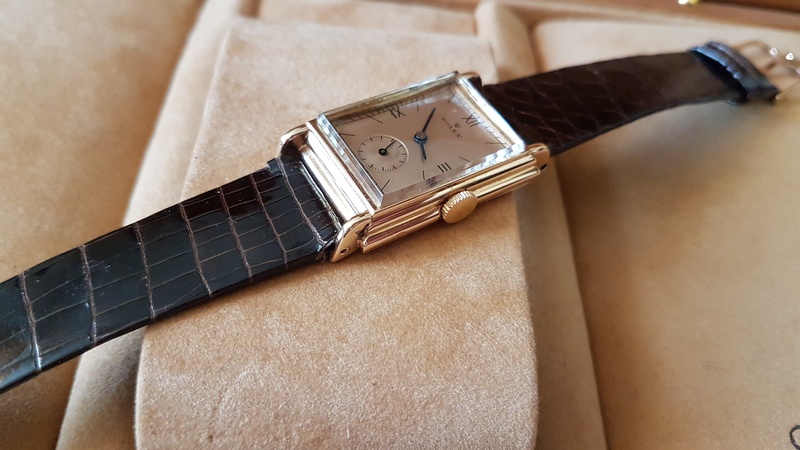 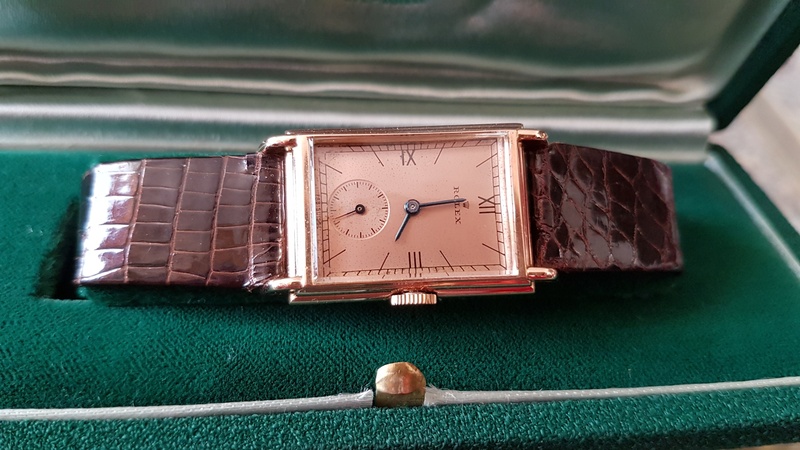 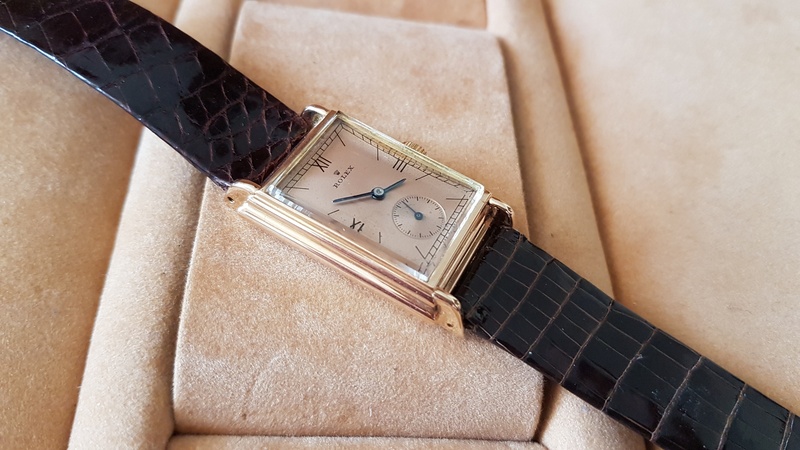 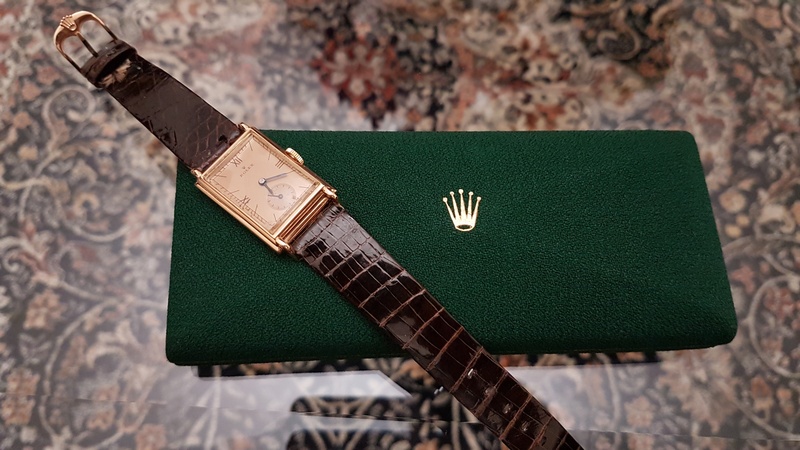 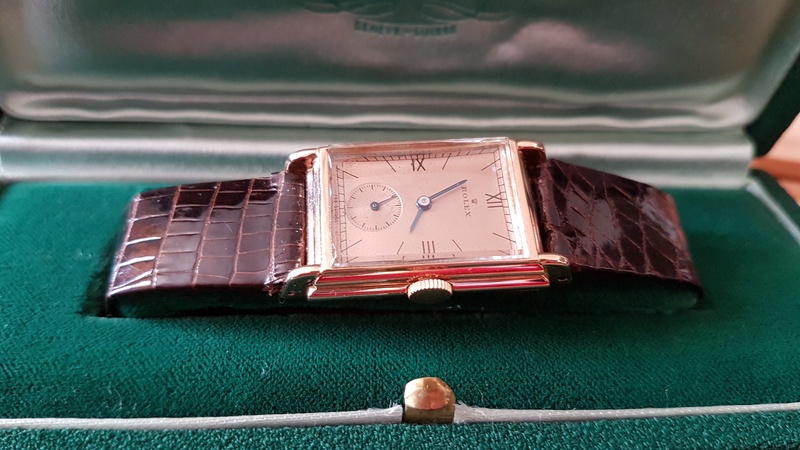 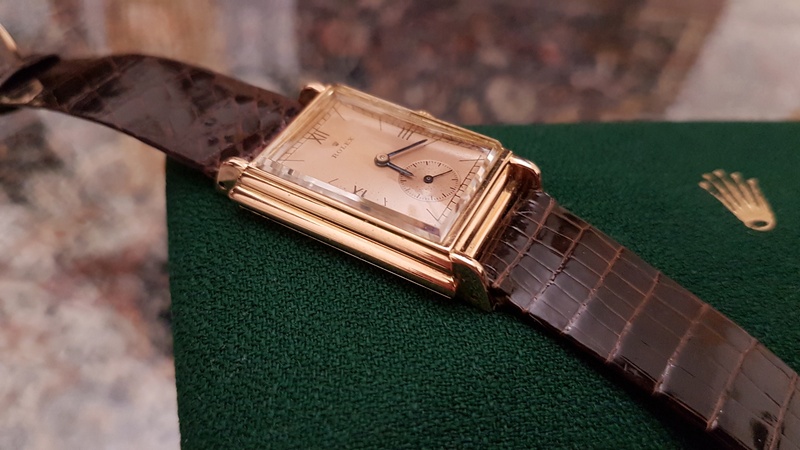 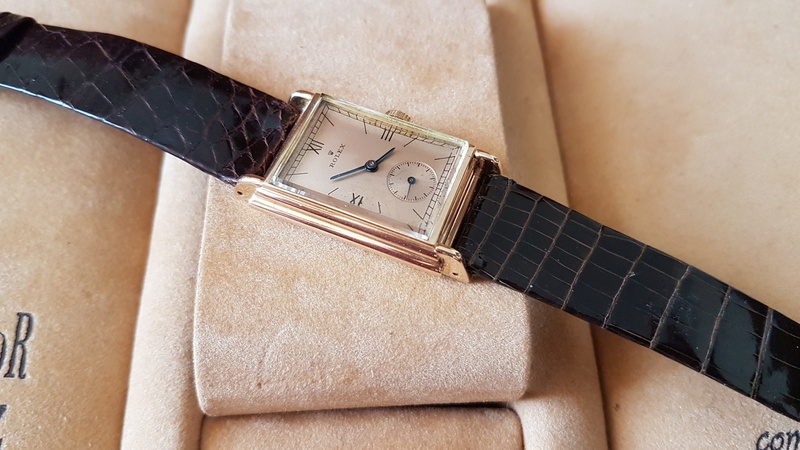 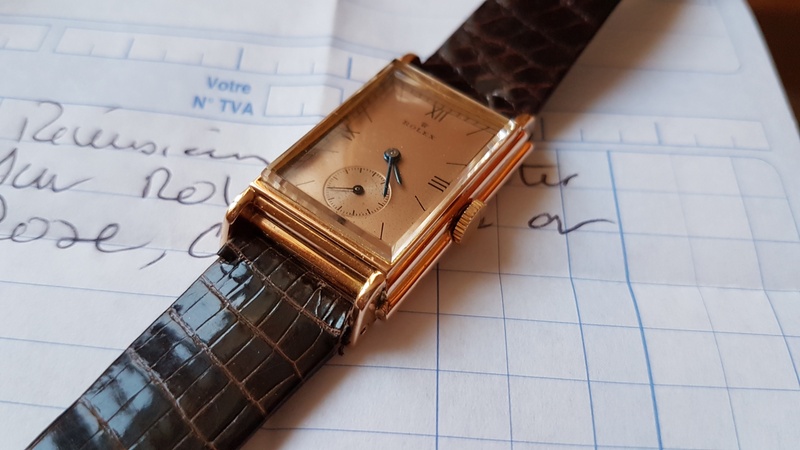 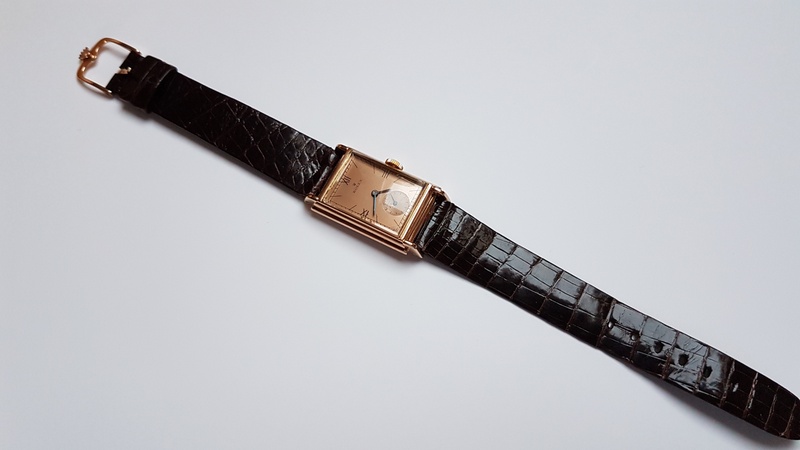 here we have for sale my beautiful and rare to come across Rolex Rectangulaire de Ville French Case in Pink/Rose Gold from the 50 s.
You will find some interesting infos and talks concerning this rare bird on VRF . 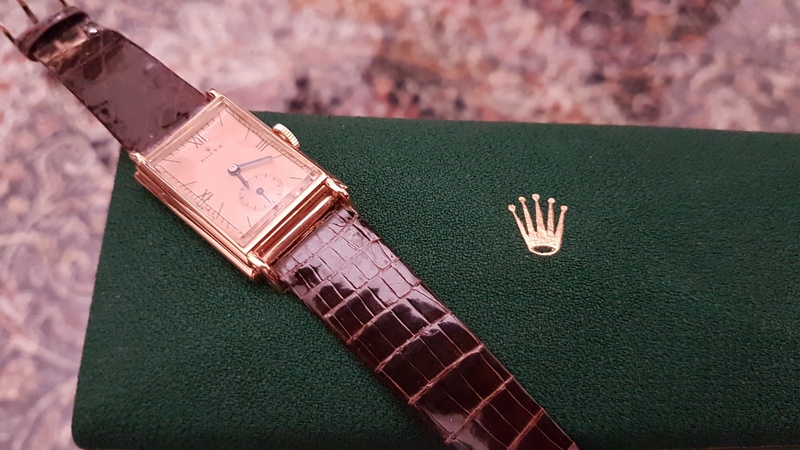 The Brownish dial with roman markers is very classy and elegant and i personally love the beautiful "Godrons" Pink gold Case . 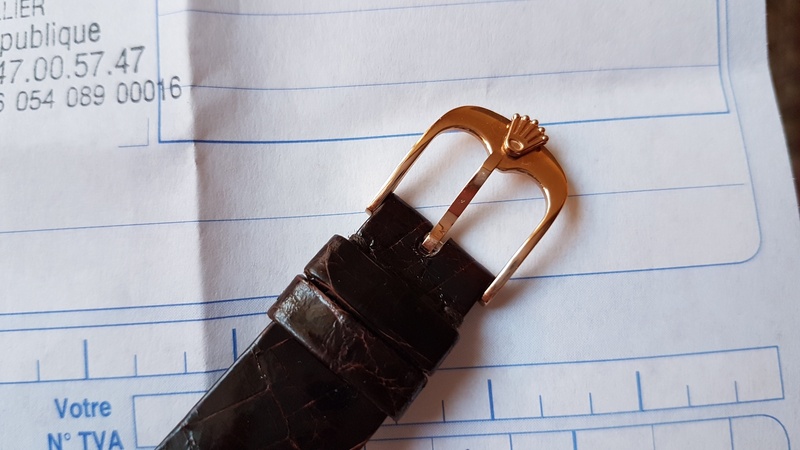 Size is 38 x 23. 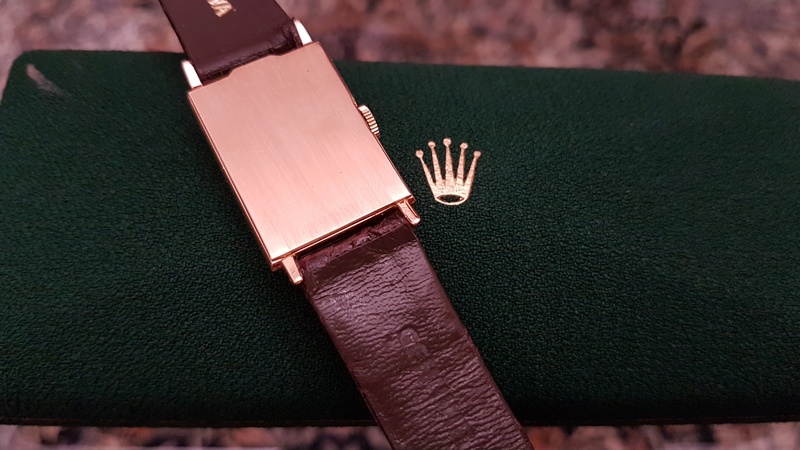 It cames with a as new vintage brown semi gloss Rolex croco band and i really like the fancy buckle. 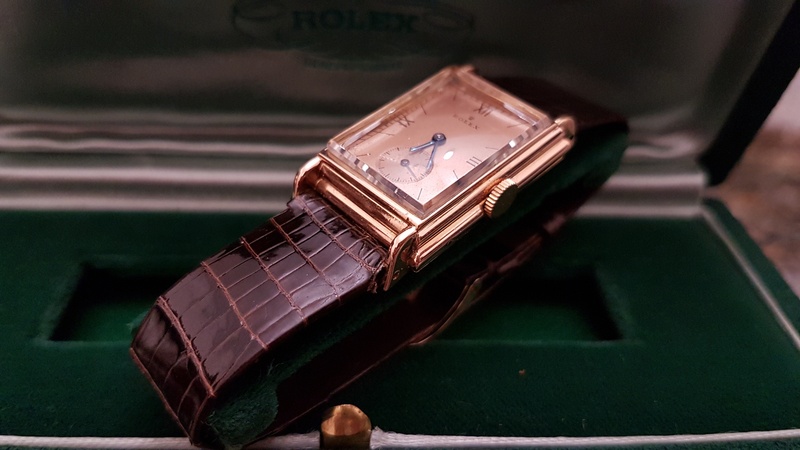 Boxed in Rolex 50 s case in excellent used condition. 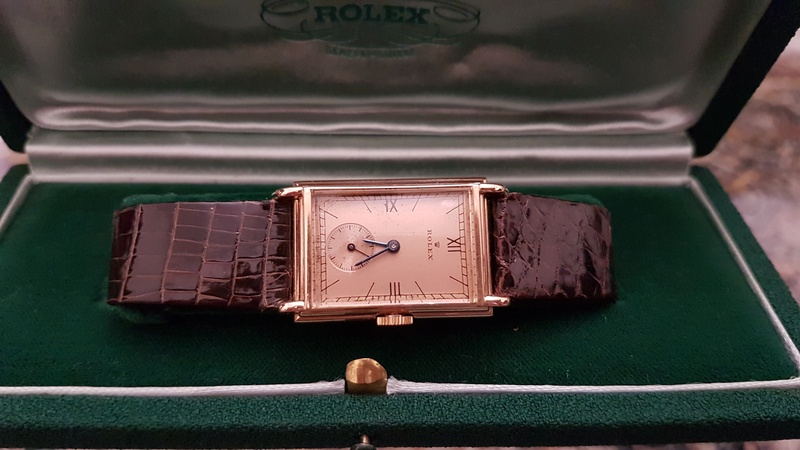 Priced for 6K eur shipped WW with Fedex and Parcel Pro insurance. 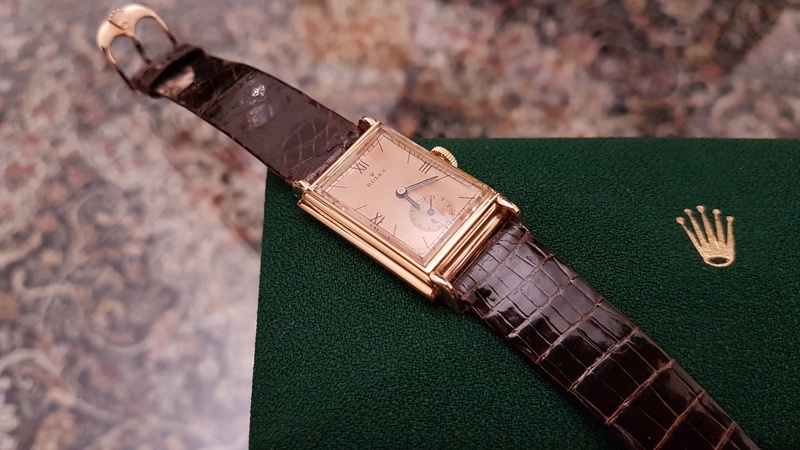 Personal collect in Geneva,Switzerland also possible.